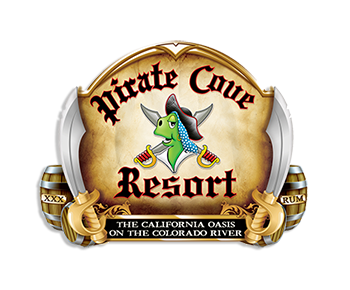 We, the undersigned individual, fully understand that our participation in the Pirate Cove Resort OHV Poker Run on January 27, 2018; exposes us to the risk of injury, death, and/or property damage. We individually hereby acknowledge that we are voluntarily participating in the event and expressly agree to assume any and all such risks. In further consideration for being allowed to participate in the Pirate Cove Resort OHV Poker Run on January 27, 2018 we individually hereby agree, for ourselves, our heirs, administrators, executors, and assigns, that we will indemnify and hold harmless the County of San Bernardino, the San Bernardino County Flood Control Department, the City of Needles, Pirate Cove Resort, Bureau of Land Management, and the United States Government; and their elected and appointed officials, officers, employees, agents and volunteers from any and all claims; including, but not limited to, claims for Worker’s Compensation benefits, damages, demands, actions, or suits arising out of or in connection with our participation in the Pirate Cove Resort OHV Poker Run on January 27, 2018, brought by any third party. WE ARE INDIVIDUALLY AWARE THAT IT IS A FULL RELEASE OF ALL LIABILITY AND SIGN IT OF OUR OWN FREE WILL. In addition to the above, we agree to avoid any contact with the Desert Tortoises (Gopherus Agassizil) a recognized endangered species by the USFWS and CDFG. I, the undersigned, am the parent and/or legal guardian of a child participant, a minor. I fully understand that participation in the Pirate Cove Resort OHV Poker Run January 27, 2018, exposes participants to the risk of personal injury, death, and/or personal damage. I hereby acknowledge that my child (hereinafter referred to as “participant”) is voluntarily participating in this event and expressly agree to assume any and all such risks. In further consideration for being permitted to participate in the Pirate Cove Resort OHV Poker Run January 20, 2018 I hereby release and forever discharge, for ourselves, our heirs, administrators, executors, and assigns, that we will indemnify and hold harmless the County of San Bernardino, The San Bernardino County Flood Control District, the City of Needles, the Pirate Cove Resort, Bureau of Land Management, and the United States Government; and their elected and appointed officials, officers, employees, agents and volunteers from any and all claims; including, but not limited to, claims for Worker’s Compensation benefits, damages, demands, actions, or suits arising out of or in connection with our participation in the Pirate Cove Resort OHV Poker Run on January 27, 2018, brought by any third party.